Reprint. Originally published: New York: Amulet, 2011. Over the past few days we've been running low on food, and if the snow doesn't melt quick I don't know WHAT we're gonna do. Greg is in big trouble. School property is damaged, and he is the prime suspect. But the crazy thing is, he's innocent! Or at least, sort of. 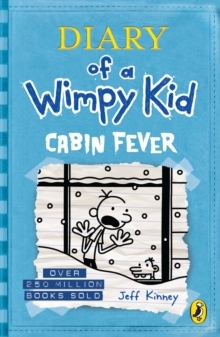 The authorities are closing in, but then a surprise blizzard hits and the Heffley family is trapped indoors. Readers of 7+ all over the world love reading about Greg and his crazy, super funny adventures! Avid and reluctant readers alike can't wait to dive into Diary of a Wimpy Kid.